Meet us at the tailgate to pick up one of these items. Prices and availability are subject to change. 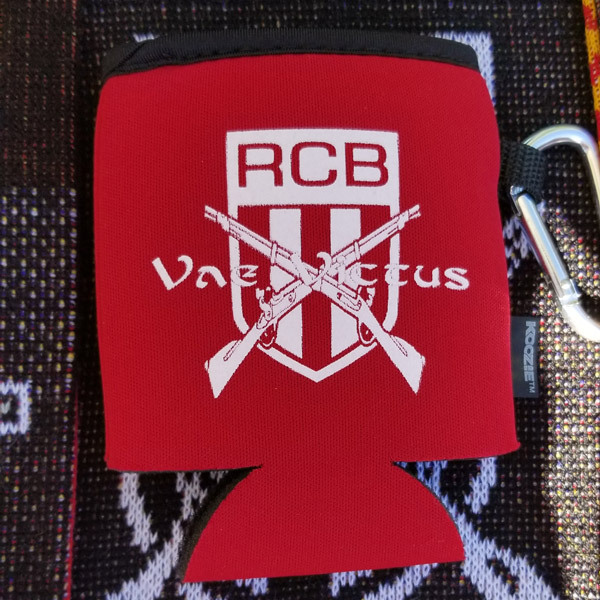 The "Vae Victus" scarf is the original RCB scarf. Every RCB member receives one upon paying membership dues. So when we travel to away games, the home supporters know what we've come for. We'll settle for 3 points, though. Designed for Pride 2018, this scarf shows our love for our three professional clubs (Real Salt Lake, Real Monarchs, and Utah Royals) and for our city and community. The RCB stands strongly in support of inclusion and equality for the LGBTQ community. $5 of proceeds of each scarf are donated to Equality Utah. A scarf to help you remember whose cup it is. A black t-shirt with the original crest on the front and the seal and motto on the back. 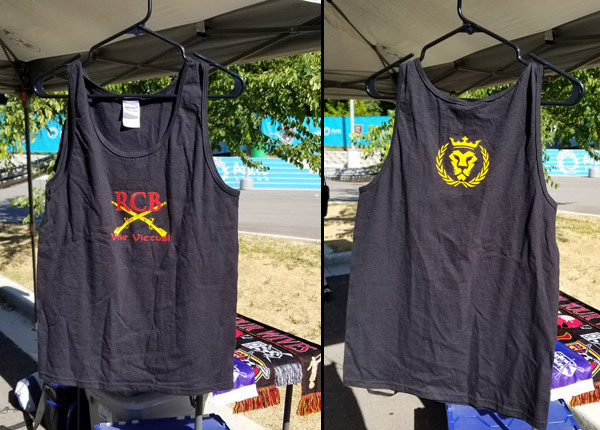 Black tank top with the RCB crest. Requires a background check to determine the actual amount of fucks you give. In case you need to cover your head, but have no hat. So you can have the coolest punk jacket. 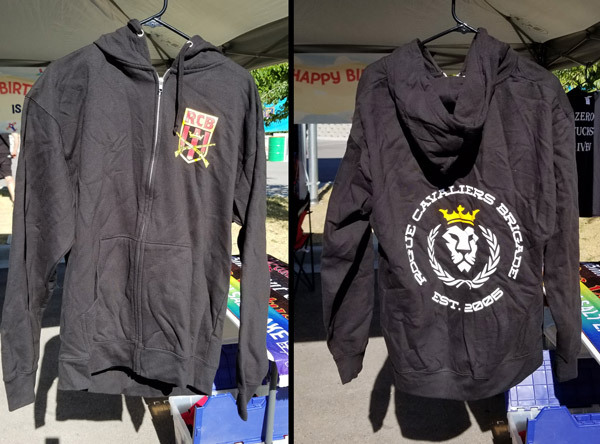 If you're not able to make it to the tailgate, contact us here to arrange a purchase.